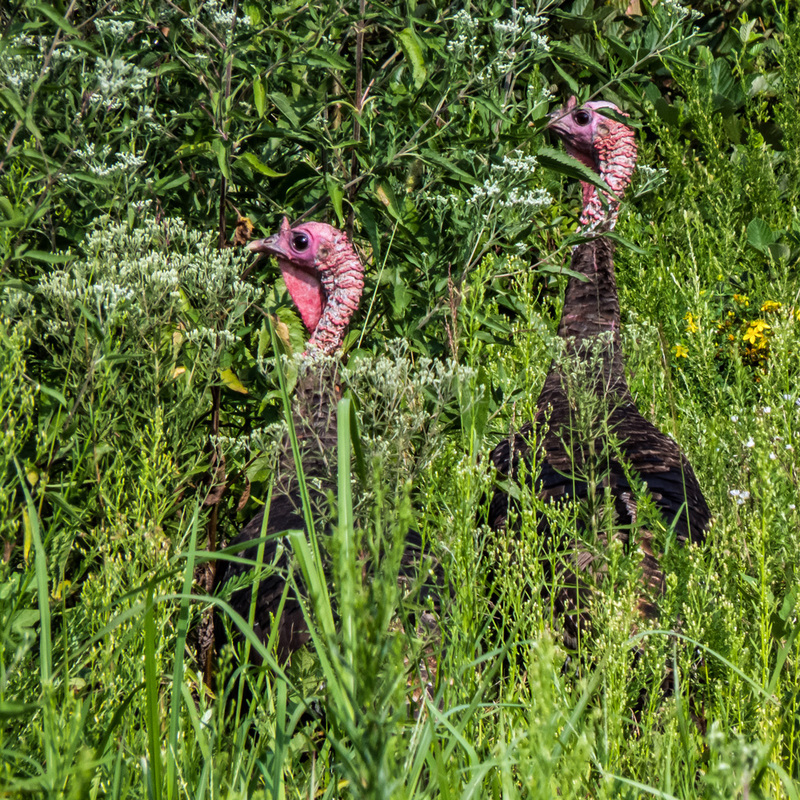 The vegetation at Occoquan Bay National Wildlife Refuge was so high recently that these two foraging wild turkeys (Meleagris gallopavo) disappeared from view each time they leaned forward. It was like a game trying to figure out where they would pop up next. I played the game for for quite some time before I was able to capture them both in a single frame with their eyes visible—in most of the other shots the turkeys were looking away from me. Slow and steady wins the race. Nice capture, Mike.